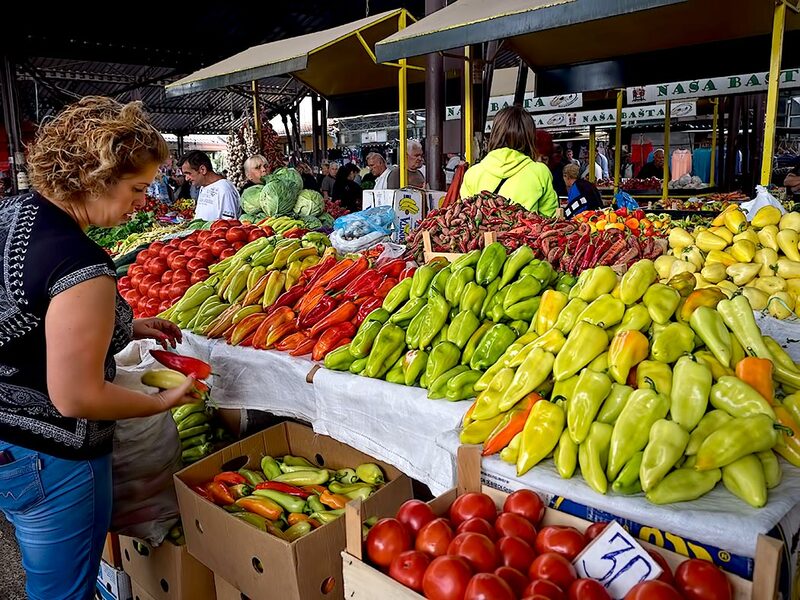 Click on title of post to view photo in large format: Peppers, like these beauties in a market in Niš, Serbia, are a mainstay of Serbian cuisine. They are served stuffed and topped with cheese, roasted, baked, fried, ground into a paste used as a spread, and probably a dozen more ways that I did not try. I was told that Serbians eat meat for breakfast, lunch, dinner, and snacks, and from what I saw, it’s the truth. As a vegetarian, I practically lived on these peppers during my stay in Serbia.